A metalforming process which is displacing stamping in a wide range of applications, especially in the automotive industry. Hydroforming is important to tube-bending, because many parts to be hydroformed start off as tubing which is bent into the approximate shape of the finished part before going into the hydroforming press. Hydroformers call this bending operation “pre-bending”. 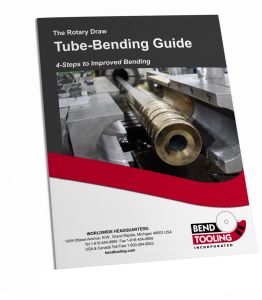 Pre-bending is rotary-draw tube-bending and does not differ in the fundamentals from any other rotary-draw tube-bending process.